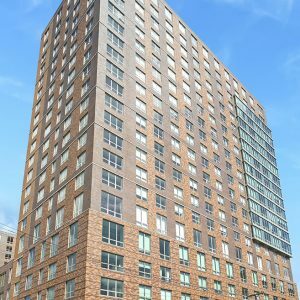 Mack-Cali is plowing the profits from its $500 million Westchester industrial portfolio sale into luxury apartments in one of Jersey City’s newest neighborhoods. The company will pay $263.5 million for Soho Lofts, a 377-unit property in the so-called Soho West, a community currently coming together on the once industrial plain between Hoboken and Newport. 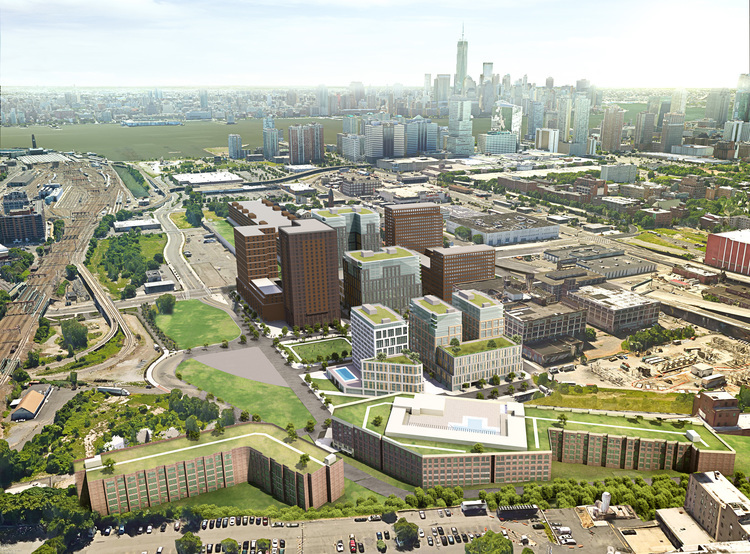 Jersey City Council and developers Manhattan Building, Hoboken Brownstone and BNE Real Estate are behind a master plan to create a community of 7,000 people with new parks, lightrail stations, shops and walkways. New streets and sidewalks will be raised above the flood line, sewer drainage upgraded, new streetlights and fiber optic cable installed. Manhattan Building Company renamed the stretch of industrial land Soho West because of its location south of Hoboken and west of Manhattan, COO Lou Mont told Real Estate Weekly last year. SoHo Lofts is one of three Manhattan Building Co. projects in the zone completed to date, along with Cast Iron I and Cast Iron II. Construction is underway on The Enclave Jersey City, a six-story rental with 260 apartments, 3,122 s/f of retail, a parking garage and rooftop pool on the corner of Hoboken Avenue and 17th Street. Developed by Hoboken Brownstone Company, phase two of that project will feature another 222 apartments. Further back, Hoboken Brownstone and BNE Real Estate have plans for a 1,100-unit complex at 305 Cole Street, a three-block site bordered by 16th Street on the south side, 18th street on the north side, Jersey Avenue on the east side and Coles and Monmouth Street to the West side. The ColesStreet development totals over 1.2 million gross residential square feet and will feature a five-tower residential component with ground floor retail. Other features include a 2-acre public park, a public plaza and an indoor parking garage. Mack-Cali announced this week the company has closed on the $487.5 million sale of a Westchester industrial portfolio to Robert Martin Co.
CEO Michael J. DeMarco, said proceeds from the sale will be used to pay $210 million of unsecured debt and consolidate Mack-Cali’s ownership in M2, a 311-unit apartment tower near the Newport development in Jersey City. The company intends to acquire Prudential’s 50 percent membership interest and preferred capital account for approximately $77.3 million. Upon closing, the Company’s ownership in the community will increase to 74.3 percent from 24.3 percent. DeMarco said, “The sale of our office/flex portfolio is an important part of our strategic repositioning and our evolution to a waterfront centric office and residential landlord. “We enter 2019 with a substantially repositioned mixed-use portfolio concentrated on the Jersey City Waterfront after entering into or actively negotiating nearly $1.3 billion of transactions. We are delivering on our commitment to exit both non-core assets and non-core markets while enhancing the synergies and quality of the remaining portfolio. Holliday Fenoglio Fowler brokered the sale of Soho Lofts. The team representing the seller included Jose Cruz, Michael Oliver, Kevin O’Hearn, Stephen Simonelli, Jordan Avanzato and Mark Mahasky.